Posted on August 17, 2013 at 5:00:18 am by Kayleen R.
One of Fort Wayne’s best bargains in entertainment is Trinity Communications’ 2013 reserved seat season tickets. For $80 you can see five great events (an earlier show by Hillsong was included in this price). For those of us who didn&apos;t pass 7th grade math class (like me), that’s $16/ticket! 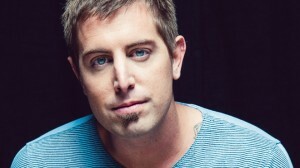 Here’s the line-up of concerts/events by Christian musical artists for this fall: October 19, 7:00 pm —Jeremy Camp. Camp has been around for nearly a decade producing solid albums of songs he mostly writes. He has won multiple awards for singing and songwriting. November 1, 7:30 pm – Matthew West, Sidewalk Prophets, Jason Castro. West’s faith in God was tested in 2007 when he sustained damage to his vocal chords and his future as a singer was uncertain. West recovered and during an interview for a local newspaper, told me, “I want to encourage people who think they’re too damaged to do anything worthwhile that they’re never too damaged or broken to make something of their lives. 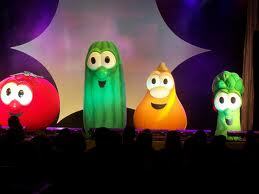 God can work with them.” November 2, 1:00 pm – Veggie Tales LIVE. Smoke machines, disco balls, lights, interactive video screens, confetti cannons, strobe, and black lights. If you think this is a simple show just for kids, think again. And maybe take some Ibuprofen. November 16, 7:00 pm – Ken Davis, Christian comedian. This guy really is funny! He can take any subject and find something funny in it. Do your heart a favor and go see this man. 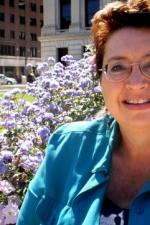 December 20, 7:30 pm – Annie Moses Band. A relaxing way to reward yourself for completing the gift wrapping, shopping and parties. All of these events take place at First Assembly of God off of Washington Center Road on Fort Wayne’s north side. Don&apos;t wait too long to get your tickets to these great concerts! These are all class acts and designed to bless God and audiences with messages of hope and healing. Tickets are on sale now. Call 260.484.1029 or visit the Trinity Communications website. Individual tickets can also be purchased at YoYo Frozen Yogurt locations at 10015 Lima Road and 9930 Illinois Road.